was nothing short of fabulous! Thank you so much to everyone that e-mailed, texted, tweeted or called to congratulate us on the amazing press we got! I'm so blessed to be doing what I love! The barns will be loaded with the most amazing collection of antiques, architectural salvage, unique home decor and the coolest industrial style furnishings you've ever seen and I hope to see you there! WOW... Congrats, Congrats! 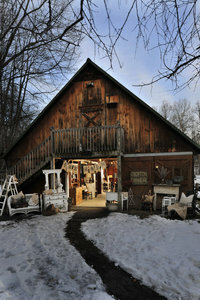 Love the barns and such great vignettes and beautiful things! A toast to you,as you are famous, for making... The Washington Post!